Welcome to Moveo’s February Newsletter! 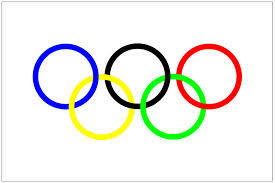 If you’re like us, you were riveted by the Winter Olympics in Sochi. It was inspiring to see Canada’s men and women compete after lifetimes of hardwork and dedication in the sports they love. Good luck to all the athletes over there competing! Winter is here! You are probably finding yourself removing snow from your driveways and sidewalks, an activity that can easily lead to injury. Hypothermia, back and shoulder injuries, slips and falls, and even heart attacks can all occur because of improper shoveling. The danger is not confined to the driveway either; falls while clearing snow from the roof also account for injuries such as spinal fractures, extremity fractures and head injury. There are several things you can do to minimize the risk of injuries while clearing your home of snow. Stay covered – You might get hot and sweaty while shoveling, but your body is still susceptible to the cold. Keep your gloves on to prevent your fingers from getting frostbite. Don’t drink coffee to warm up – The caffeine in it can increase your heart rate. Stick to hot cocoa (this has some caffeine too) or decaffeinated tea. An elevated heart rate interferes with the normal function of the heart and can be very dangerous. The biggest risk of an elevated heart rate occurs if a person already has a weakened heart. People with any type of cardiovascular disease, older adults or sedentary individuals need to take extra care that their heart rate does not get dangerously elevated. Keep hydrated – Take a water break every 20-30 minutes. Warm up first. Shoveling can be an intense exercise so warming up your muscles and getting your heart pumping before you start will reduce your risk of muscle strain. Shovel smaller loads. Over the course of a driveway you can shovel a ton of snow (literally). By making each load smaller, you can avoid strain on your back. Step in the direction you are throwing the snow and avoid twisting. Don’t keep your hands together on the shovel. Spacing your hands apart will make it easier to lift. Use a smaller shovel. This will force you to pick up smaller loads and the decrease in weight can save your back and other muscles. Don’t wait until the snow stops and then try to get rid of all of it at once. 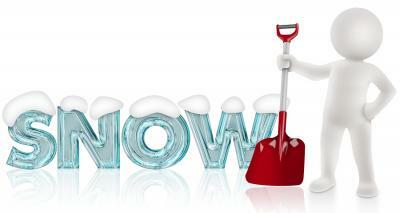 Go out a few times during breaks in the storm to clear the driveway of a smaller amount of snow. If possible, push the snow to the side instead of lifting it. And for a shoveling home remedy: if wet snow is sticking to your shovel, cooking spray will allow the snow to slide off more easily. Heart attacks that occur during winter months are most frequently attributed to shoveling snow, if there has been a snow storm. If you know you will be dealing with snow this winter, visit your doctor or %physiotherapist% first for a checkup. For more tips on how to shovel safely and reduce your risk of injury, talk to the trained, licensed chiropractors, massage therapists and acupuncturists at *client_company*. They will let you know if you are healthy enough for the activity and give you more steps to take to further minimize any damage that might occur. If you have already suffered an injury because of shoveling or any other activity, one of our practitioners would be happy to assess your injury and create a program tailored specifically to your needs and goals. Call *client_company* to make an appointment or to ask any questions you may have. risks of snow clearing activities. Am J Emerg Med. 2002 Nov;20(7):635-7. 3. Persinger MA, Ballance SE, Moland M. Snow fall and heart attacks. J Psychol. “Acupuncture: The Final Frontier. These are the voyages of traditional Chinese medicine. It’s mission: to explore meridians, to seek out new life and new ways of healing, to bodly go where you’ll wish you had gone before. You can read the rest of the article on page 37 of Issue 7 of Trail Running Canada HERE. Speaking of trail running, Moveo has a busy season ahead of us. We are a proud sponsor of two North Shore trail race series: Coast Mountain Trail Races and Mountain Madness. You can expect to find us at almost every finish line of these events providing free massages to all participants, which gives us a pretty full calendar. Kicking off the season is Mountain Madness’s Dirty Duo on March 8th and Coast Mountain Trail Series’s Cap Crusher on March 23rd. Check out each link to learn more about the races and sign up soon! We hope to see you out there! 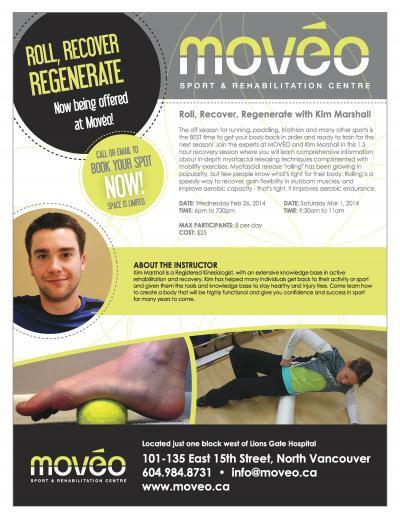 We have two more Foam Rolling Sessions coming up soon! Our last sessions were so successful that we wanted to open up to opportunity again for people to learn foam rolling techniques that will help them ease those aching muscles and joint and loosen those tendons. See below for dates and times and call 604-984-8731 to register. Hurry! Space is limited. We believe healthy kids make healthy adults. It’s why we love initiatives like ACTIVE IN SCHOOL where many organizations have come together to help kids learn to appreciate a healthy lifestyle through education and physical activity while in school. It’s also why when Dr Kim Graham was given the opportunity to discuss her own career choice as a doctor of traditional Chinese medicine, she jumped at the chance. It was an opportunity for her to share her love of helping people heal. Dr Graham was invited by North Vancouver School District to speak about what it means to be an acupuncturist and a doctor of TCM. She spoke about how she uses acupuncture, herbal therapy, massage and other hands-on methods in conjunction with western medicine to treat disease and injury. She shared how she also teaches classes to others on how to do these things and gives educational talks to schools and various groups, as well as writes articles for many publications. She discussed her career path and what kind of education she received to get to where she is today and what she sees as the future of traditional Chinese medicine careers. Her favourite part was talking about how much she loves her job. She sees it as a fast-growing and dynamic field with lots of opportunities for more people to join in the world of TCM practice. Dr Graham found the experience to be very rewarding as she saw eyes light up before her at the possibility of helping others through such a worthy and healthy career.